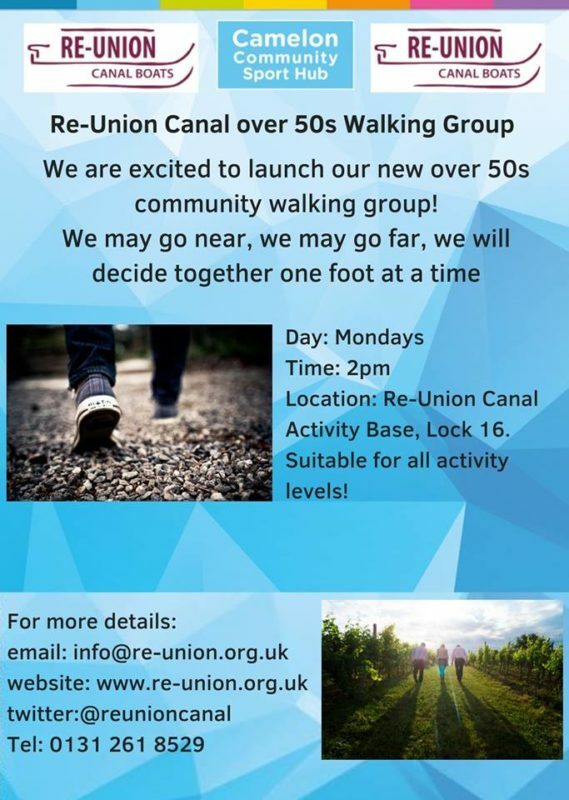 Re-Union Canal Boats will be running a new Walking Group for over 50s on Mondays, 2.00pm at the Re-Union Canal Activity Base, Lock 16. We my go near, we may go far, we will decide together one foot at a time. The group is suitable for all activity levels. For more details contact Re-Union on info@re-union.org.uk or call 0131 261 8529.